Anyone who commits crimes on church grounds does not deserve a place to breathe in the free world. That’s just my personal opinion. Lock these kind of people up away from the general population and toss the keys. The Alpharetta Police Department confirmed with Channel 2 Action News that a carjacking happened at a church Friday evening. Police said Jason Taratoot, 31, held the victim at gunpoint and stole a green Kia Soul at St. James Methodist Church. An officer spotted the vehicle driving southbound on Georgia 400, and when Taratoot refused to stop, a short vehicle pursuit started. The suspect attempted to run away, but was stopped by a police canine. 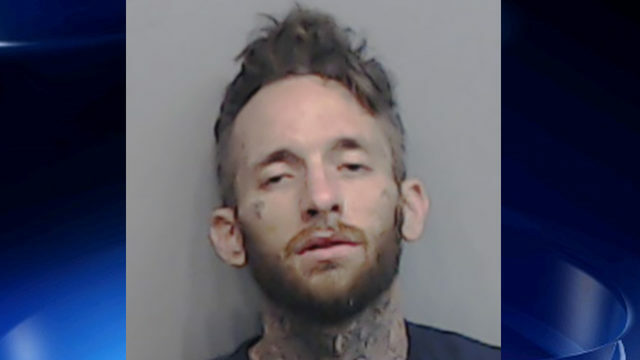 “Our investigation revealed the captured suspect was a wanted fugitive out of Cherokee County,” the department posted on its Facebook page. The suspect faces numerous felony charges, including aggravated assault, theft of a motor vehicle and possession of a stolen firearm. No one was hurt and the suspect is now in jail, according to officials.